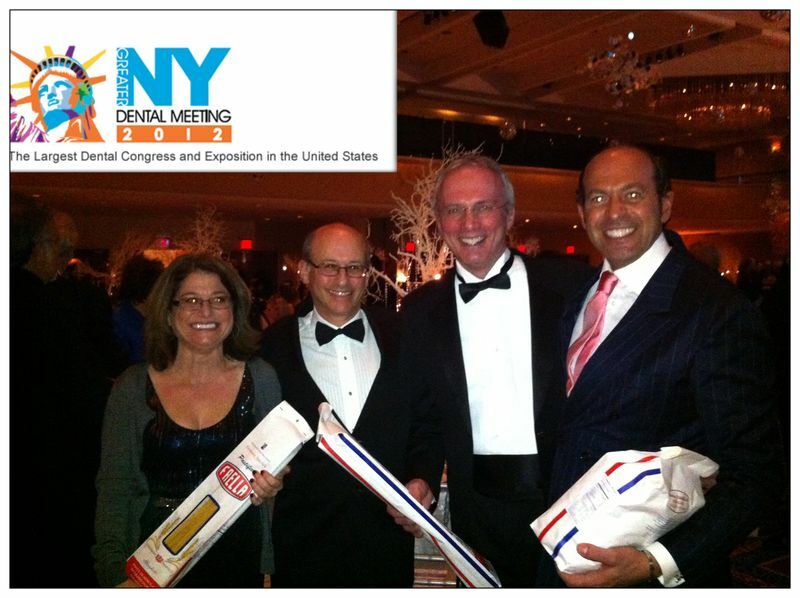 A few weeks ago New York City hosted The Greater NY Dental Meeting, the huge annual dental conference. The reason we are talking about it here is that this conference featured Pasta Faella! Guest speaker, Dr. Sabino Aquino, is from Gragnano and he arrived at the conference with Pasta Faella in tow to share with his fellow dentists. At first we thought, isn’t this such a random novelty? Then, we realized it makes perfect sense! As Pasta Faella pointed out on our Facebook page, “Who better to judge the goodness of pasta when cooked Al Dente? In fact, in Italian “Al Dente” means “to the tooth”. A dentist knows a good pasta when they sink their teeth into it. Bravo Faella! Next Post Almonds from Noto Are Disappearing. How Local Is That?